As equity prices have picked back up, so too has bullish sentiment. 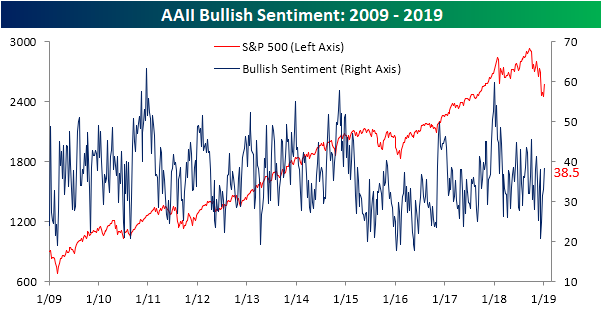 The survey of individual investors from AAII has seen a decent bounce in bullish sentiment back to more normal levels since hitting a multi-year low back in mid-December. This week’s survey saw 38.5% of investors reporting an optimistic outlook for markets in the next six months. That is right in line with the 38.5% historical average for the history of the survey. Conversely, bearish sentiment has seen a steep drop. The percentage of investors reporting a negative outlook fell by 13.4% to 29.4%. This measure has also more or less returned to normal levels. 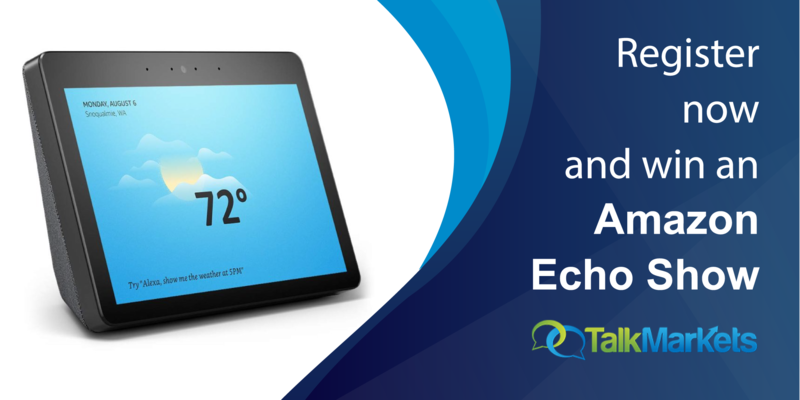 It is only around one percentage point lower than the historical average. 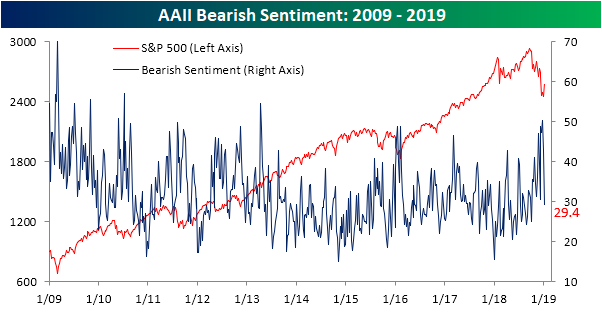 One interesting point to make, bearish sentiment is currently at its lowest level since early October; right around the time that equities had peaked and took the turn downwards. 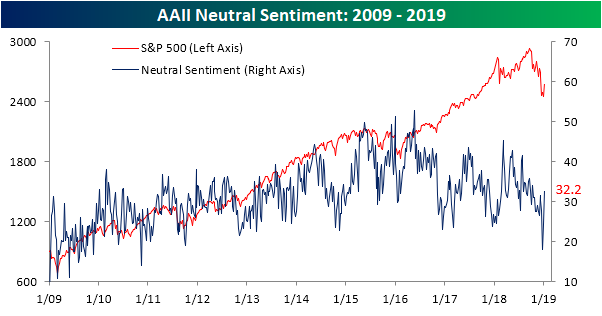 After reaching a remarkably low level only a couple weeks ago, neutral sentiment has picked back up significantly, settling—like the others—right around the historical average. This week, 32.2% of investors reported a neutral outlook, up from 24.2% last week. Though bullish sentiment has lifted, investors who were previously bearish have not necessarily turned bullish. A greater share of the declines in bearish sentiment seemed to have gone to the neutral camp.